RealSubscriber is an American company which has been in the social media enhancement industry since 2013. It is known for delivering what its name promises - real social media signals for Facebook, Twitter, YouTube, Instagram, Google, Pinterest, and SoundCloud. Everything you need to know about the company and its services can be accessed from the landing page, saving you the hassle of going through every web page. The site itself is a bit dated and drab looking. 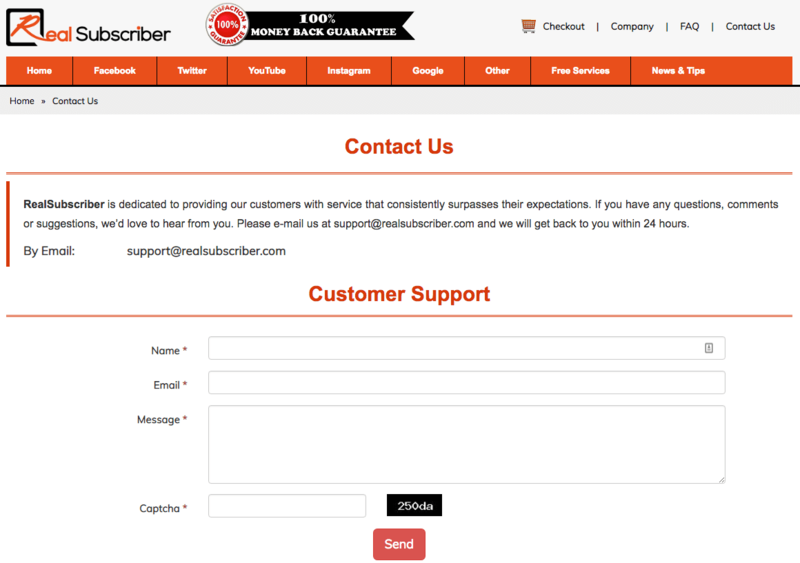 RealSubscriber offers a 100% money-back guarantee on all of its services in case of uncompleted orders. There doesn’t seem to be a refill or replacement policy in place because the company claims that there are no drops for those using their views services. 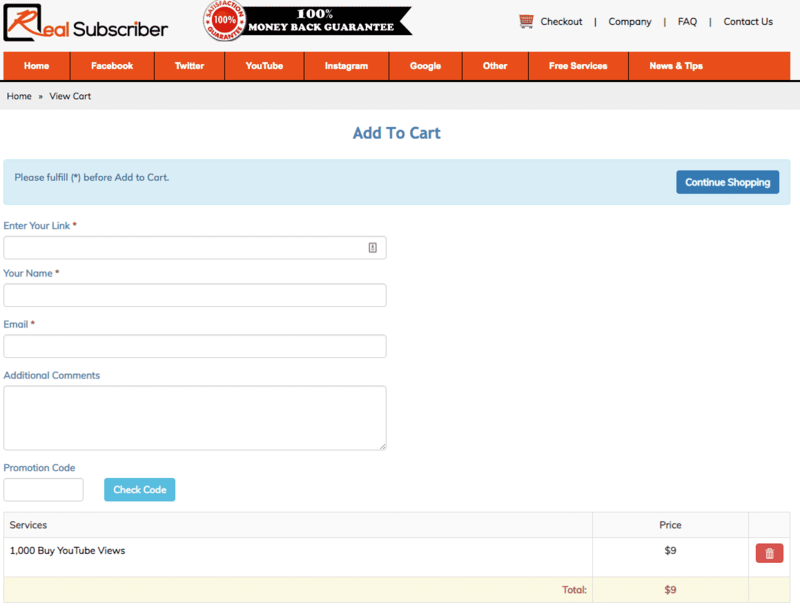 RealSubscriber’s easy order process involves typing in your name, email address, and the video URL. Payment is processed through PayPal. The company’s customer service department can be reached through email or by filling out a contact form. The provider also offers free services in exchange for writing about them on your blog or social media account. This can be a great way to try out their services. 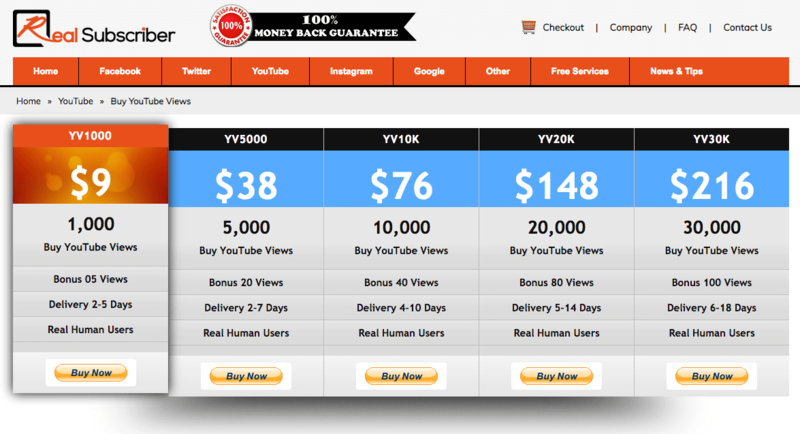 The best thing about RealSubscriber though is that your order is backed with a 100% money-back guarantee. If you’re not happy for valid reasons, you can request for a refund. The promise of real people behind those views is also very attractive. RealSubscriber is an ok provider of YouTube views, even if they website looks a bit cheap and old. Have you tried RealSubscriber’s services? How did you find it? Let us know what you think by posting your comment.